All About Samhain - What is Samhain? The fields are bare, the leaves have fallen from the trees, and the skies are going gray and cold. It is the time of year when the earth has died and gone dormant. Every year on October 31 (or May 1, if you're in the Southern Hemisphere) the Sabbat we call Samhain presents us with the opportunity to once more celebrate the cycle of death and rebirth. 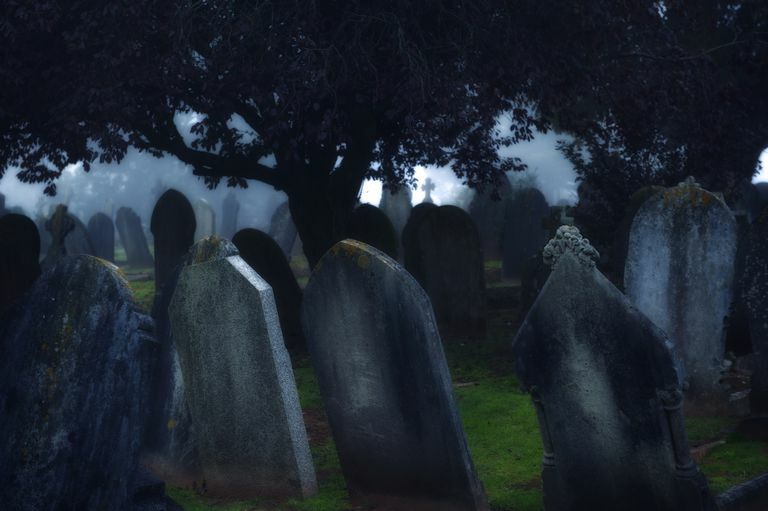 For many Pagan traditions, Samhain is a time to reconnect with our ancestors, and honor those who have died. This is the time when the veil between our world and the spirit realm is thin, so it's the perfect time of year to make contact with the dead. Depending on your individual spiritual path, there are many different ways you can celebrate Samhain, but typically the focus is on either honoring our ancestors, or the cycle of death and rebirth. This is the time of year when the gardens and fields are brown and dead. The nights are getting longer, there's a chill in the air, and winter is looming. We may choose to honor our arncestors, celebrating those who have died, and even try to communicate with them. Here are a few rituals you may want to think about trying for Samhain–and remember, any of them can be adapted for either a solitary practitioner or a small group, with just a little planning ahead. Start off by decorating your altar with symbols of the Samhain season, representing symbols of death, the harvest season, and tools of divination. You may also want to incorporate some Samhain prayers into your rituals, or perform a quiet Samhain Ancestor Meditation. Plan your ritual festivities with ceremonies that celebrate Celebrate the Harvest's End or honor the ancestors of your family and community. You can also perform a God and Goddess Ritual for Samhain or do a ritual that marks the Cycle of Life and Death. If you have young Pagans in your family, there are different ways you can celebrate Samhain with kids, including planning a family Samhain Cemetery Visit. Finally, if you're involved in your community, consider a ritual to Honor the Forgotten Dead. For many Pagans, Samhain is a time to do magic that focuses on the spirit world. Learn how to properly conduct a seance, how to do some Samhain divination workings, and the way to figure out what a spirit guide is really up to! If you're thinking about holding a seance or a dumb supper, you'll want to be sure to read about the different types of spirit guides and how to find yours. If you find yourself wondering about whether that spirit guide is something else entirely, you'll need to know how to get rid of unwanted entities. Pagans have a view of death and the afterlife that is a little different than our non-Pagan friends. In fact, divination with the spirit world is a popular magical activity around Samhain. You might want to try using a scrying mirror or even a Ouija board. Last but not least, familiarize yourself with some of the Sacred Plants of the Samhain Sabbat. Interested in learning about some of the traditions behind the celebrations of the late harvest? Find out why Samhain is important, learn why black cats are considered unlucky, how trick-or-treating became so popular and more! Samhain has a rich history, going back a long time. This is the season of Cailleach Bheur, the Hag in Scottish folklore, and a time when the many gods and goddesses of death and the underworld are recognized. However, keep in mind that Samhain is the name of the holiday, and not a Celtic death god. Learn about Bat Magic and Legends, as well as some of the spooky traditions surrounding Black Cats, Jack o'Lanterns, and the practice of trick-or-treating. In many cultures, spider magic becomes prevalent around Samhain, and you may notice a lot of owl activity outside. Because this is a time when many of us honor our dead, it's a good time to think about how we take care of those who have crossed over, and how many Pagan societies have venerated their ancestors. Brush up on your Samhain Superstitions, and read some spooky poems... just in case things go bump in the night! In fact, if you like vampire stories, while they're not part of Paganism or Wicca, they definitely seem to be popular at this time of year. Bring the season into your home with these 5 Easy Samhain Decorations, or create some Magical Samhain Goodie Bags for Pagan Kids in your life.